Camair-Co The Challenge is Huge For New Management! The implementation of the restructuring plan is awaiting the new management team. 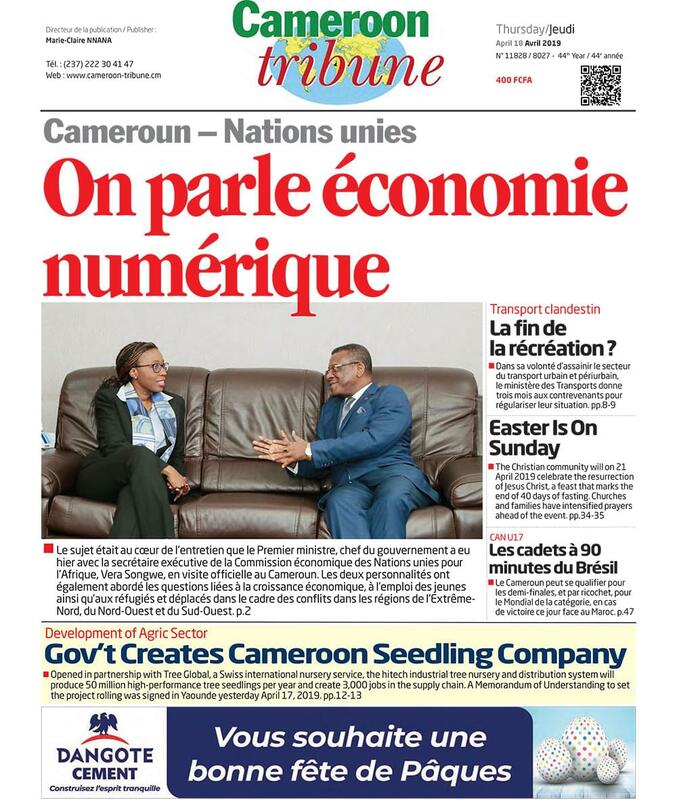 The stakes are high for the new management team of the Cameroon national air carrier, Camair-Co. The new Board Chairman, Mefiro Oumarou and Director General, Ernest Dikoum appointed by President Paul Biya yesterday August 22, 2016 and commissioned in Yaounde by Transport Minister have the tasked of overseeing the strict implementation of the restructuring plan, proposed by the American consulting firm, Boeing, after a forensic audit. The skies may appear clearer for the company with the proposed plan to restructure the company after months of uncertainty caused by the recurrent breakdown of the Boeing 767-300 ER christened the “Dja” and the Boeing 737-700 coupled with the recent ban by the Civil Aviation Authority prohibiting the company from flying to Europe. The sigh of relief will however be heaved when the new management team takes the restructuring plan to the end. The team is expected as proposed by the American firm, Boeing, to purchase nine additional aircraft to step up its fleet to 14 aircraft. Camair-Co’s inability to fly higher has always been blamed on its limited fleet, with Boeing insisting in its strategic audit report that the company’s flight expansion and business plan programme that brings out reliability was only achievable with more aircraft. The task is therefore huge for the new management team that is expected to purchase new aircraft according to its to-be-new destinations. Camair-Co’s inability to make ends meet has partly been attributed to its limited flight destinations which is understandable. The company planes, apart from flying across Africa, only go to Europe. The new restructuring plan endorsed by the Head of State makes provision for 27 destinations. Five intercontinental lines like Paris, Bruxelles, Washington and Wangzhou alongside 13 regional and nine domestic lines have been recommended by the consultant as government seeks to redress the country’s lone airline company. Ernest Dikoum and his team will therefore have the daunting task of making the company profitable through the multiplication of its flight destinations. Camair-Co is in the bad books of its service providers like fuel providers, aircraft lenders and navigation service experts. Boeing consultant is proposing that government pays the company debts worth FCFA 35 billion. The new management team is therefore expected to work out a payment plan to relief the company of this nightmare. In June 2015, government secured a FCFA 25 billion loan within a plan to re-launch the company. Priority was the purchase of new aircraft to add to the three the company owns. However, the funds are expected to be disbursed now given that the report of the forensic audit of the company required has been endorsed. This notwithstanding, the consultant tasked government to finance the company to the tune of FCFA 60 billion so as to save the dying horse.